She looked wickedly mean, but she was gentle. She gruffed at those who didn't like what she had to say. She reminisced about life as a pastor's wife. She laughed at jokes, before the punchline. She loved her stained glass art. She was the one and only Betty. Betty Lou was not just a coworker, she was my mentor. She was the one who made me who I am today. She helped me understand the workplace politics. She gave me reasons to laugh, when I was in the midst of crying. She was a mother to me. My life is richer for having her apart of it for the last 12 years. She has not held my hand put pushed me into the sharktank, when I needed it most! I can never thank her enough for everything she has done for me. Betty Lou: I know you are with Bruce once again. I can hear you laughing and joking when I close my eyes. May you be at peace now. Remember that I love you and please continue to guide me in the right direction as I continue in life. You will be greatly missed. What a touching tribute! I love the card and how your flower fades away. Beautiful! sorry to hear about your friend, how sad. What a beautiful card you have created! 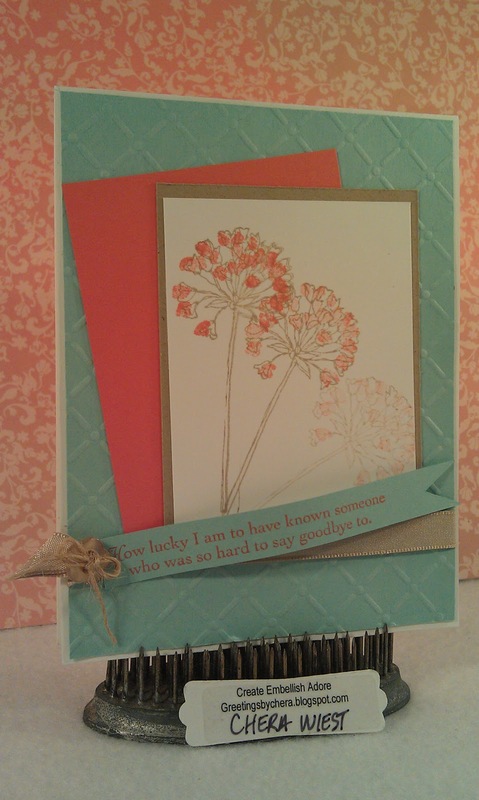 A lovely card and a beautiful heartfelt tribute to a special lady. Thanks for playing along at Just Add Ink. A beautiful card and a lovely tribute to a dear friend. Such a beautiful tribute. How very sad to lose your dear friend. 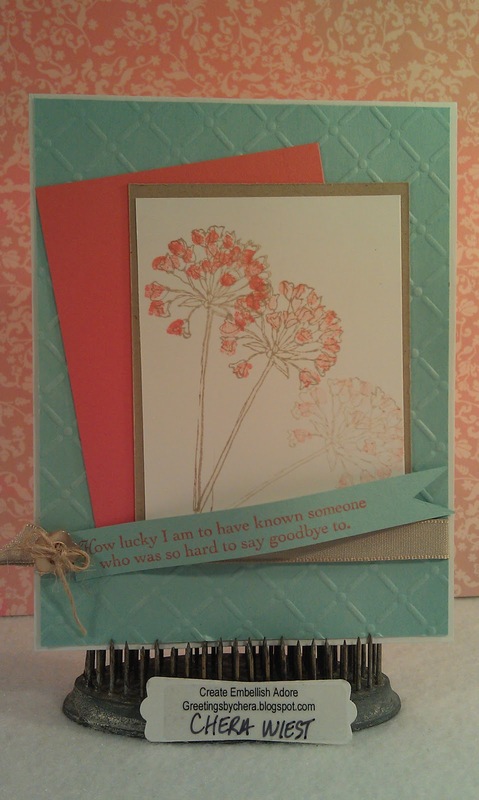 Your card is lovely and these colours just perfect for the occasion.